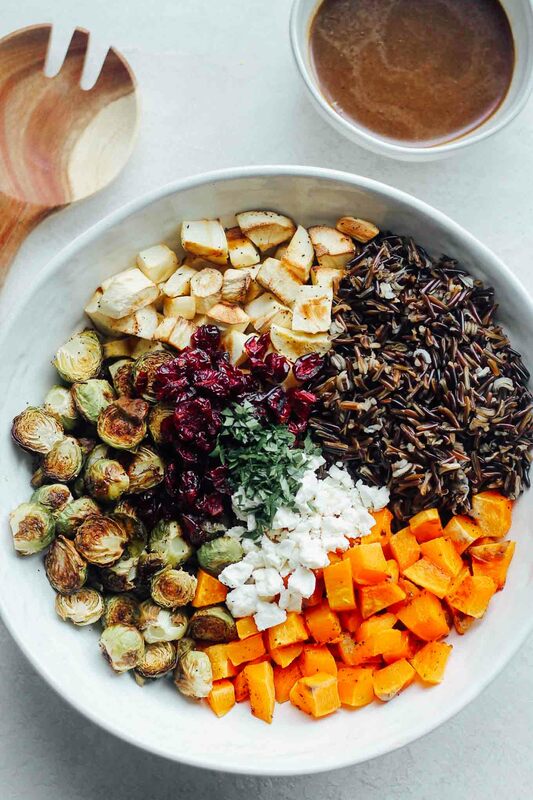 If you’re searching for a Thanksgiving side dish that’s full of vegetables, full of flavor, healthy, and a total crowd pleaser, look no further than this Roasted Vegetable Wild Rice Toss. 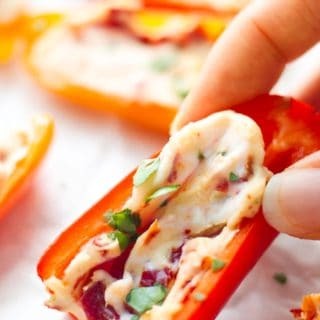 It’s a veggie side dish and salad in one that will rock your socks off! 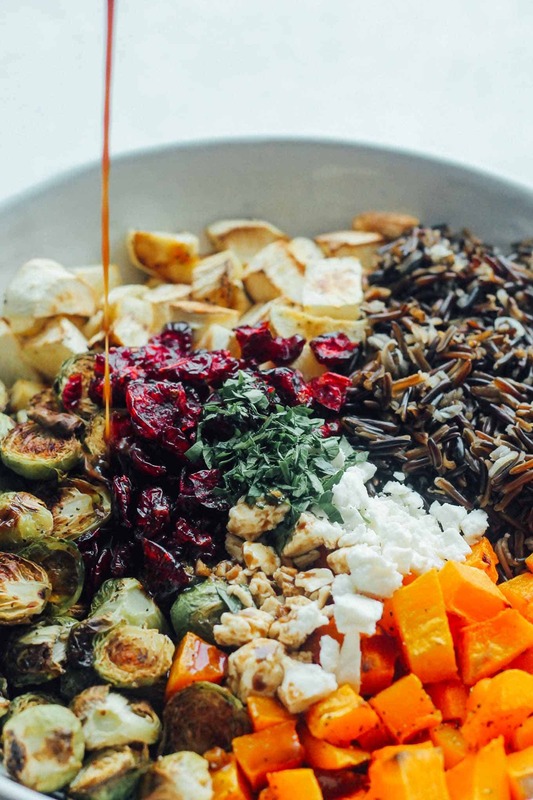 Serve it warm with fresh-out-of-the-oven roasted vegetables or serve it cold after the veggies and rice have soaked up all the wonderful flavor from the balsamic vinaigrette dressing. 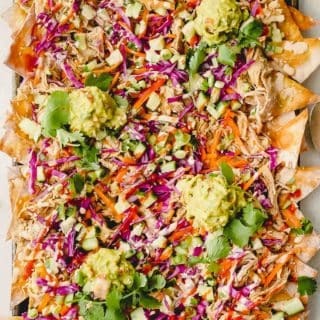 This dish offers plenty of room for substitutions. Not a huge fan of brussels sprouts? Sub in broccoli or cauliflower. Can’t find parsnips? 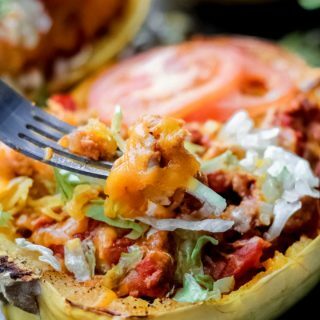 Use more butternut squash, sub in regular sweet potato, or even beets for a unique flavor. 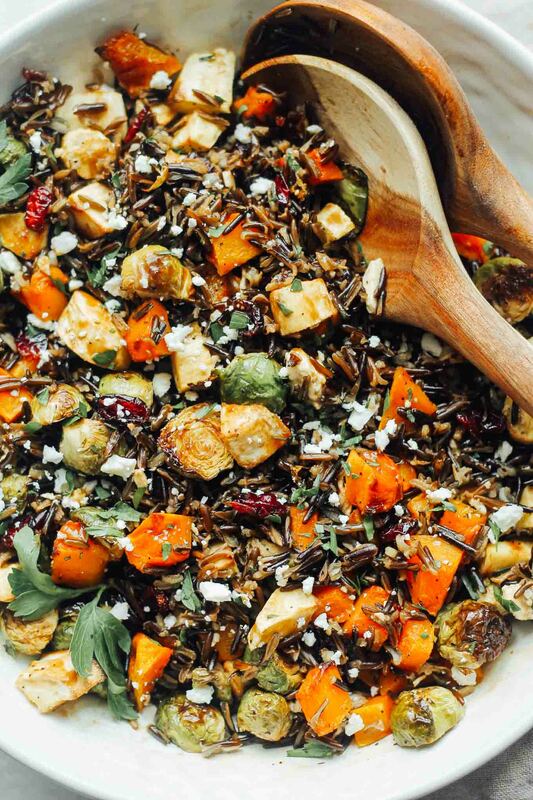 Can’t find wild rice in your neck of the woods? Use any grain like quinoa, couscous, a rice blend, barley, farro, etc. Tired of cranberries? 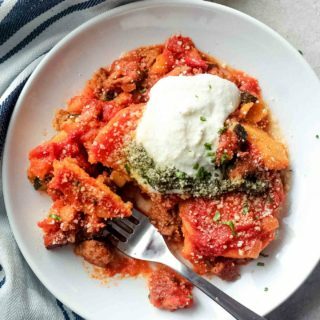 I’ve used pomegranates in this dish and they were amazing! 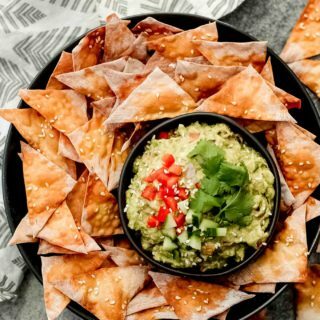 Hate feta? Shaved parm would be just glorious. Don’t like parsley? Skip it or try rosemary or thyme. You get the idea. The possibilities are endless! The only requirement is that you roast the veggies! I know I’ve raved about roasting before, but I love them so much I seriously could survive on a diet of only roasted vegetables. Roasting is unbelievably easy too —olive oil, salt, and pepper are all you need. Give the veggies a toss, pop them in a hot oven, and patiently wait as the edges become oh-so-crispy and the veggies slightly soften and caramelize. Oh the flavor! 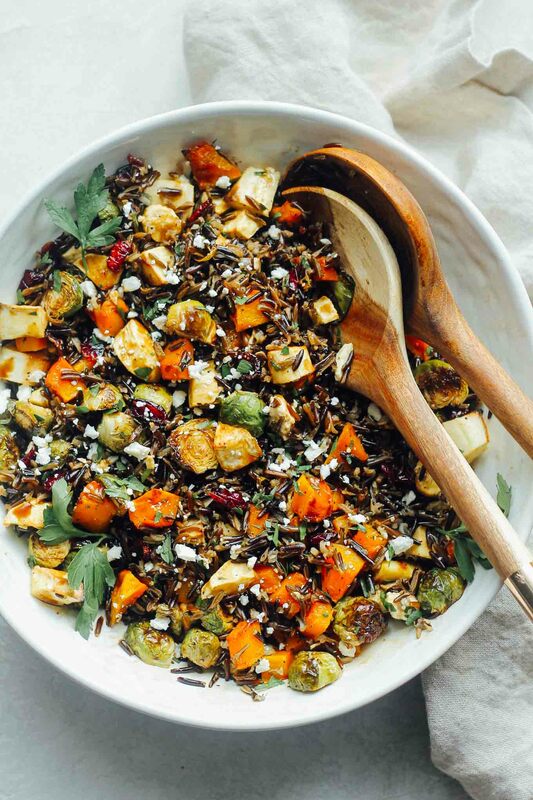 It’s time to make everyone at the Thanksgiving table fall in love with roasted vegetables! Roast the vegetables: Preheat oven to 425 degrees. 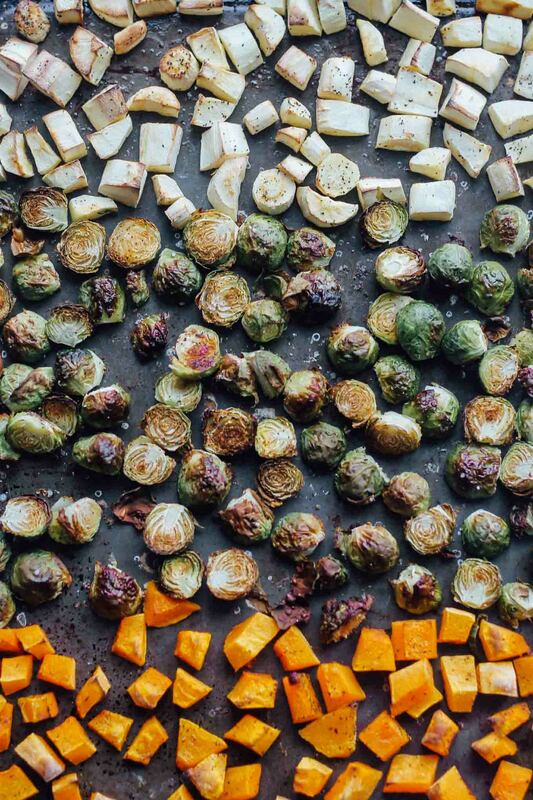 Spread the Brussels sprouts, parsnips, and butternut squash out on a lined baking sheet. Drizzle with olive oil and sprinkle with salt and pepper. Give the veggies a quick toss with your hands to evenly coat them in the oil and seasoning. Place the veggies in the oven and roast for about 20 minutes. Make the dressing: While the veggies are roasting, prepare the balsamic vinaigrette. 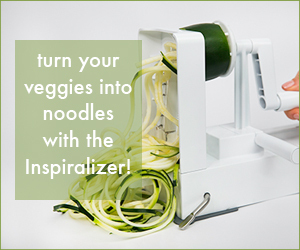 Place all ingredients in a small bowl, mini food processor, or blender. 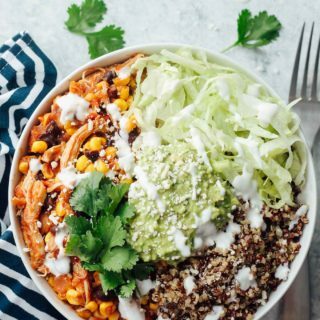 If using a bowl, whisk all ingredients together. If using a food processor or blender, mix until the dressing reaches a smooth consistency. 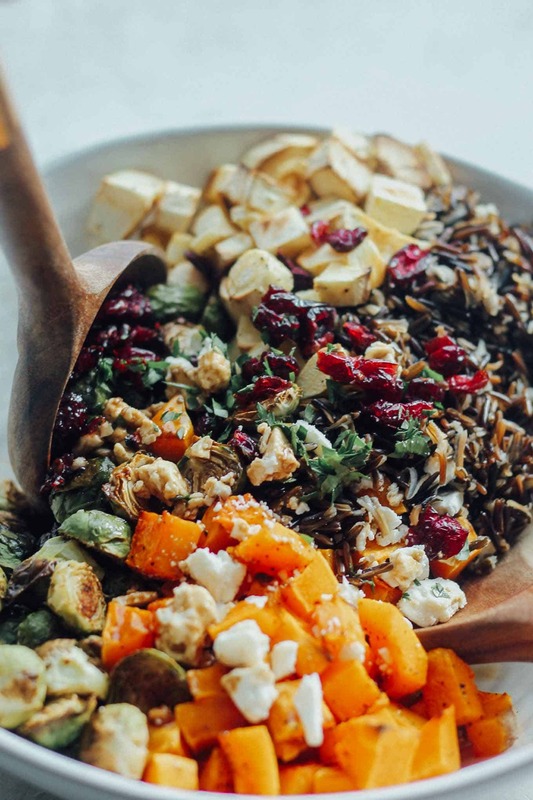 Toss: In a large bowl, combine the roasted veggies, wild rice, cranberries, feta, and parsley. Drizzle with the balsamic vinaigrette and toss everything together until combined.